To cycle 430 miles from Peterborough to Paris is an impressive ride by any standards, even more so when suffering from the devastating neurological illness, Parkinson’s disease. Marjorie Abbott has been a sufferer for 12 years, but is passionate about the importance of regular exercise in controlling or delaying the development of symptoms. To meet her and go cycling with her is testimony to that belief! 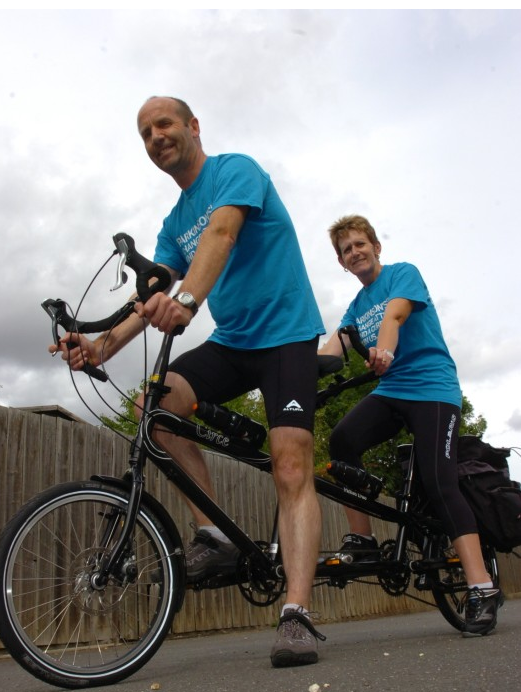 As a result of her illness, Marj cannot ride a solo bike, so she and her husband, Clif, ride a tandem bicycle where he is responsible for the steering and balance. She, and they, are an inspiration, not just to other Parkinson’s sufferers for whom they regularly do events to raise money, but to us all.